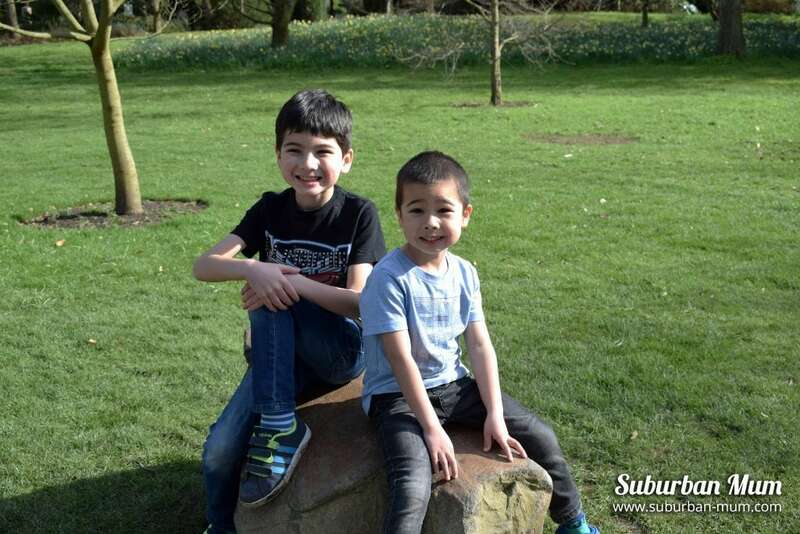 After having spent Easter weekend eating our own body weight in chocolate, it was time to get active and burn off some energy during the first week of the Easter break. 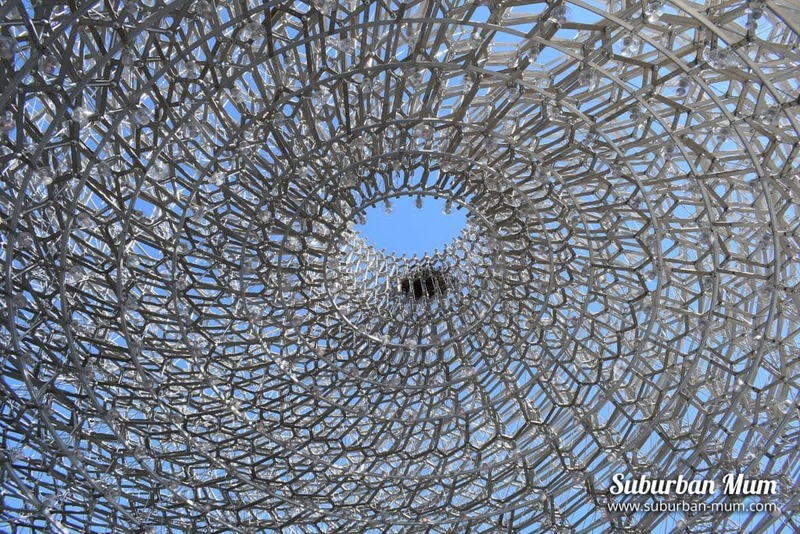 Our last visit to Kew was at Christmas a couple of years ago, we’d always planned to go again so our visit in conjunction with LittleBird came at the right time. 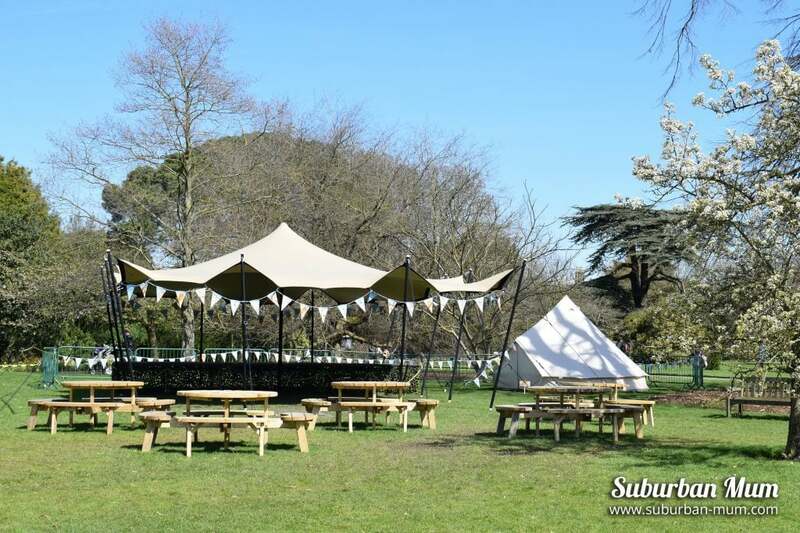 LittleBird offer discount prices for lots of family days out. 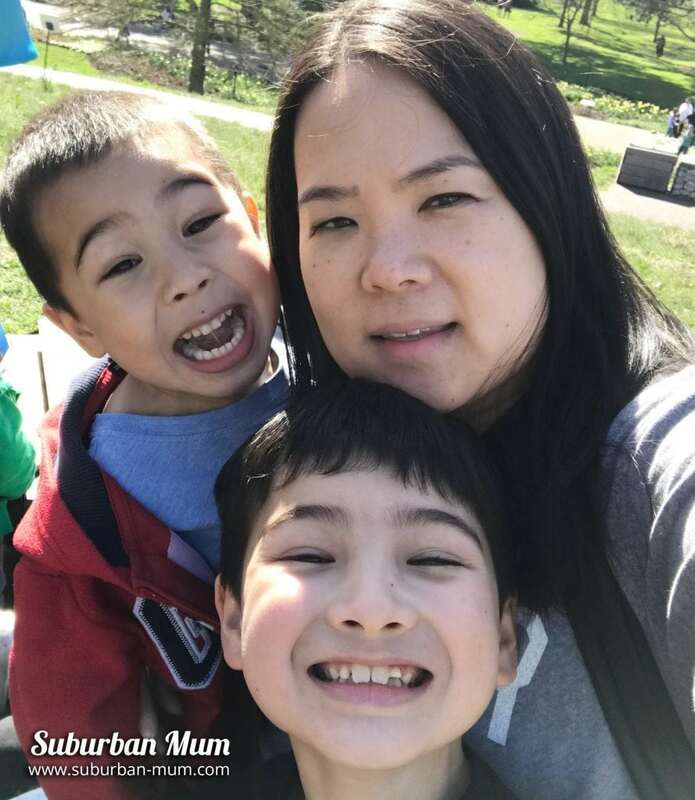 Their mission is to make family life easier, more affordable and fun – something that is right up our street and something I am sure any parent would find really useful. 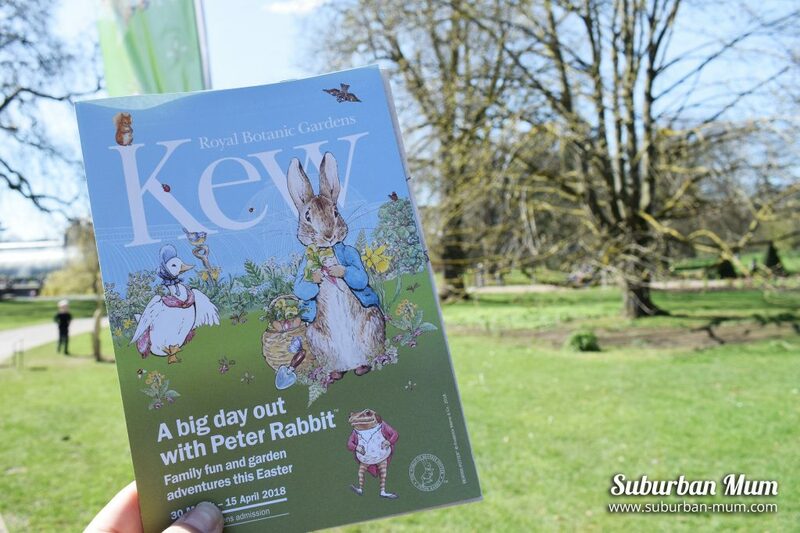 They are currently offering a great deal where you can save 23% off tickets to A Big Day Out with Peter Rabbit at Kew Gardens and kids go free. 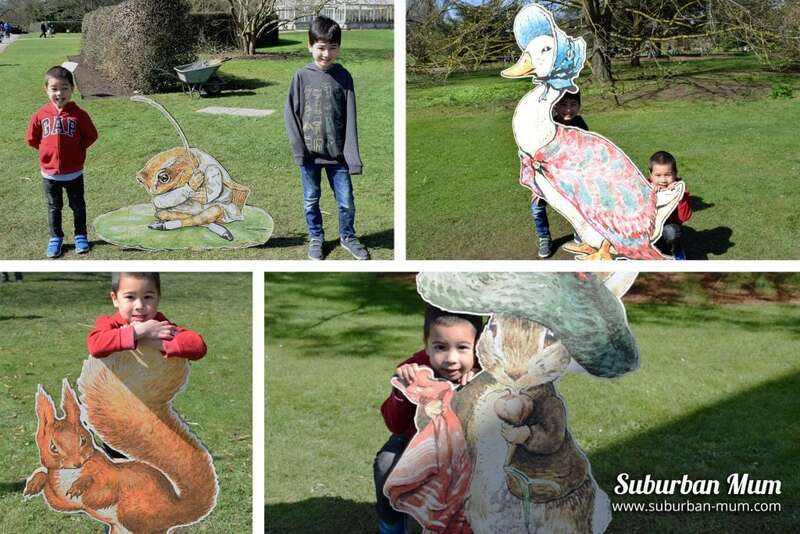 It’s definitely worth booking through LittleBird to take advantage of this great deal if you’re looking to visit over the Easter Holidays. The event and offer run until Sunday 15 April 2018 so make sure you don’t miss out. Read on to see our thoughts on our day. Kew has its own car park where you can pay £7 to park for the day. However, it’s worth noting that on sunny days when the children are on their school holidays, everyone will pretty much have the same idea and the car park will be jam-packed, so you’d need to arrive early to try and bag a space. Limited free parking is available by Elizabeth Gate after 10 am. You can also park along Kew Road which is near both Lion Gate and Victoria Gate. Parking is also available along the side streets if you arrive after midday. The permit parking restriction here is from 10am-Noon. It was a glorious sunny day and the first time in a long time we were able to walk around without our coats on. We’d totally forgotten what it was like but it was certainly very welcome! The boys were happy to be running outside in the fresh air and were excited for the day ahead. We entered via Lion Gate and set off looking for the start of the Peter Rabbit Trail. 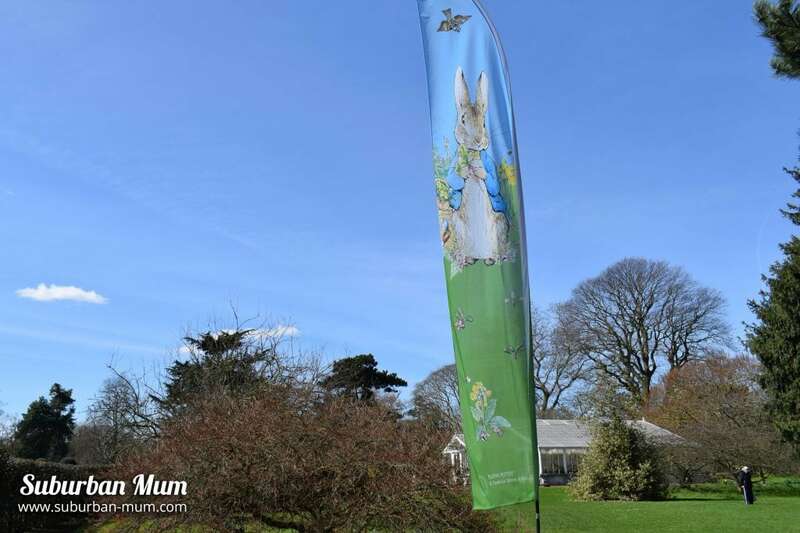 The trail begins near the main entrance (Victoria Gate) and each stop is well sign-posted with Peter Rabbit flags – you can’t miss them! 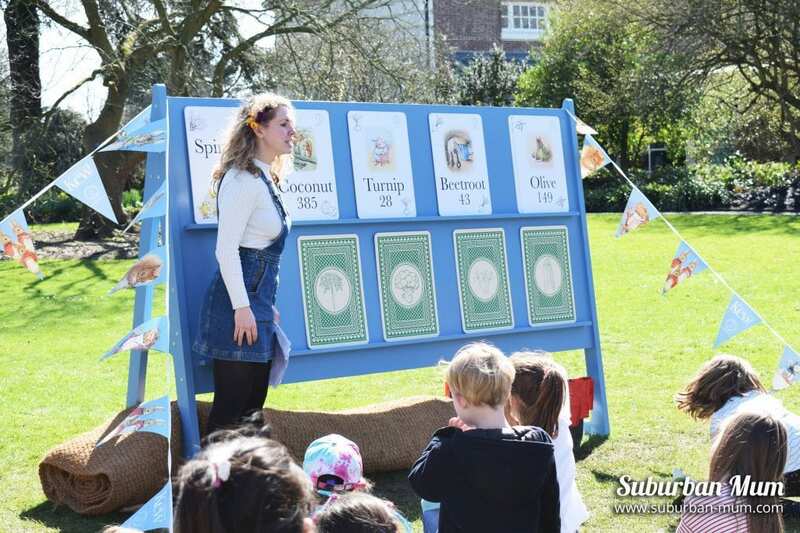 The trail then leads you to the Secluded Garden where the themed activities take place. 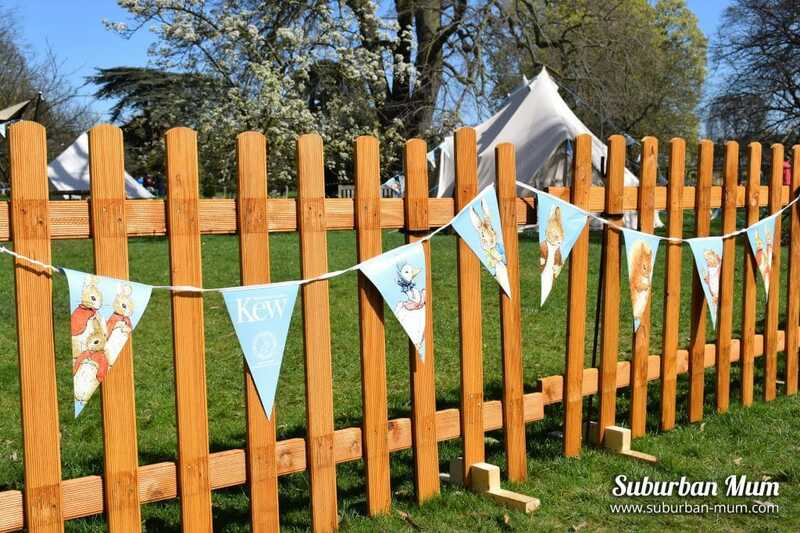 It’s a lovely little area that been set up perfectly in keeping with Peter Rabbit. On the day we visited, the activities had unfortunately moved from the Secluded Garden to the Nash Conservatory next to Elizabeth Gate due to the previous day’s rain. However, this didn’t stop any fun from being had. 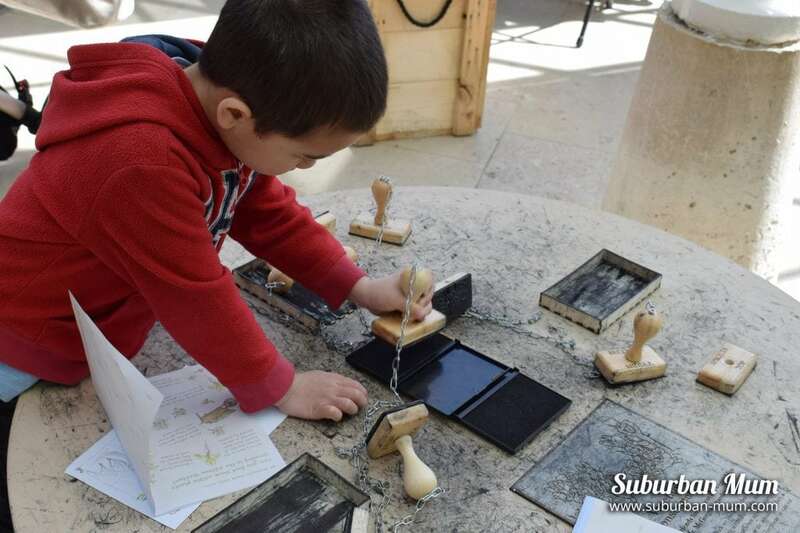 There were plenty of activities on offer and the boys didn’t waste any time getting stuck in. 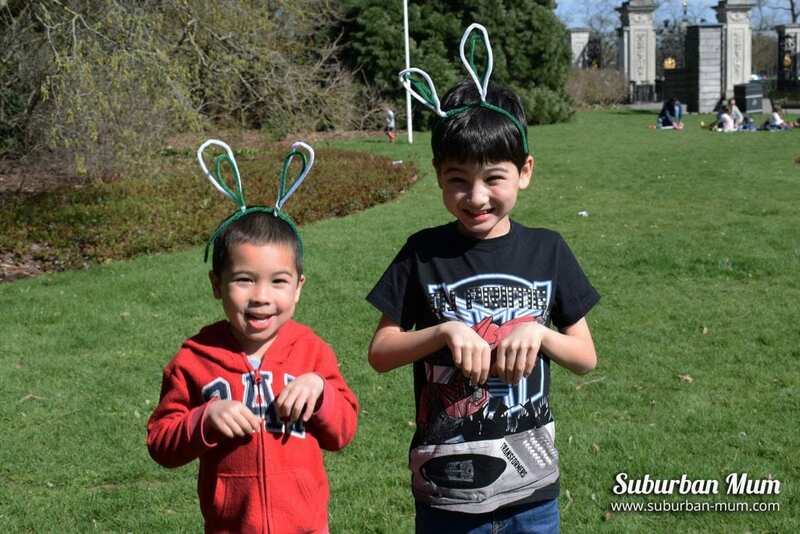 They made bunny ears, created their own vegetable patch using stamps and guessed what veggies were growing in the Tops and Tails area. 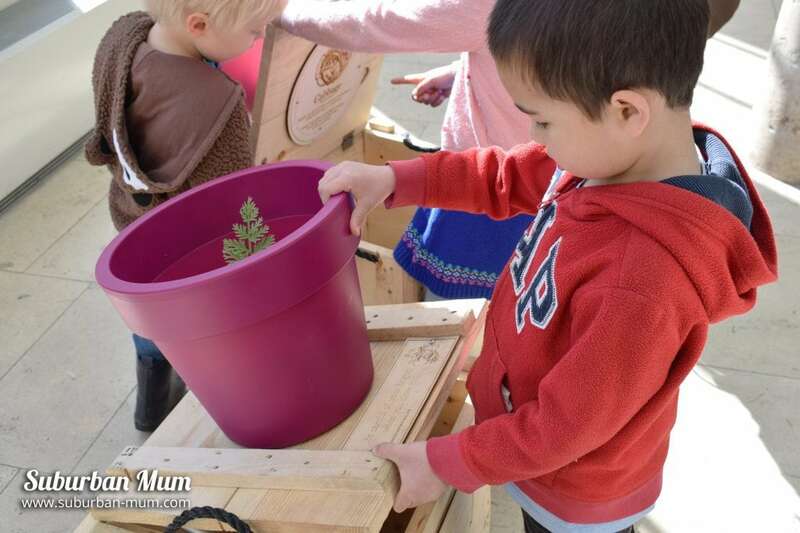 We missed out the Grow Your Own section as it was very popular and the boys wanted to continue exploring outside. 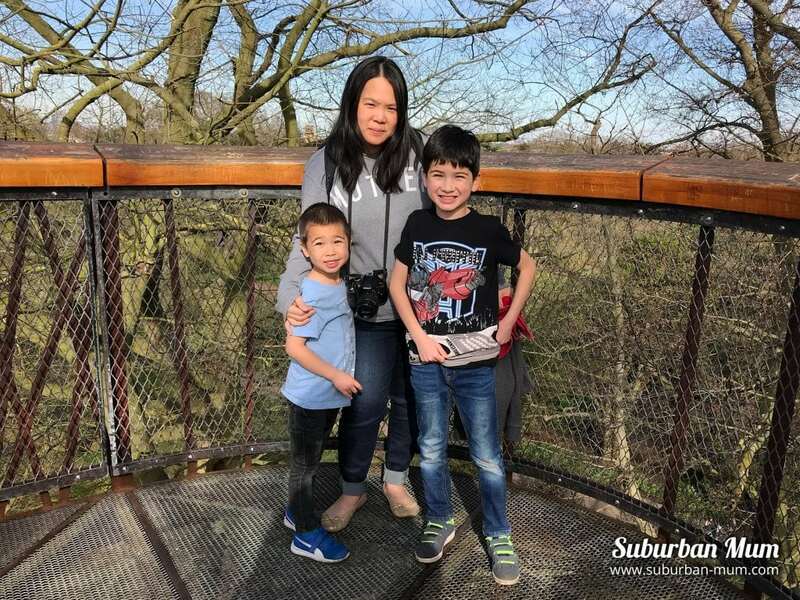 We had such a lovely day at Kew – I don’t think any of us had walked so much but we had so much fun taking in the sun and exploring. E went on a school trip here a couple of years ago so he loved being a mini tour guide showing us around. 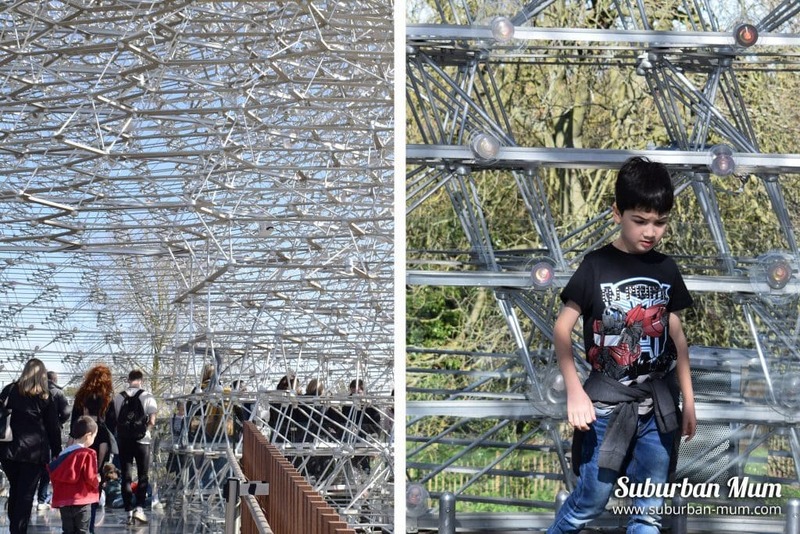 We went to see the new Hive installation, saw the Cactuses and Orchids in the greenhouse and ended the day in E’s favourite part – the Treetop Walkway. Yet still, we didn’t manage to see everything! 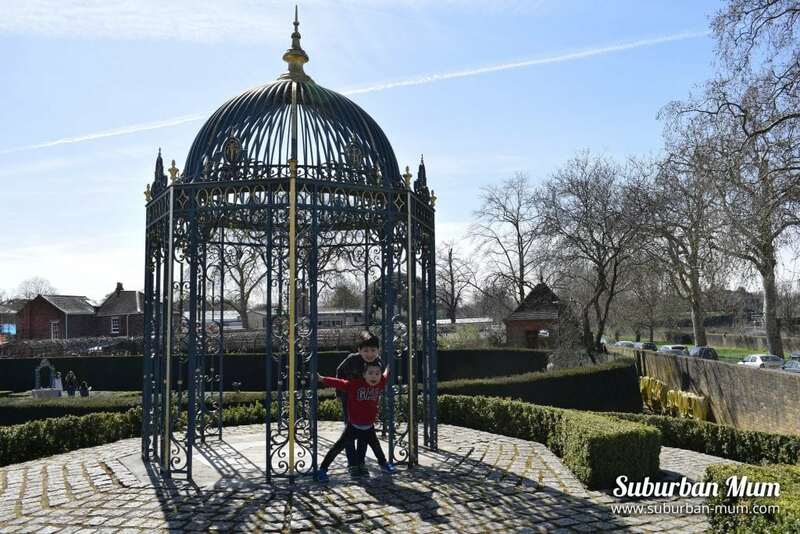 Kew is a fantastic place to visit with the kids where they can run free and explore to their heart’s content. 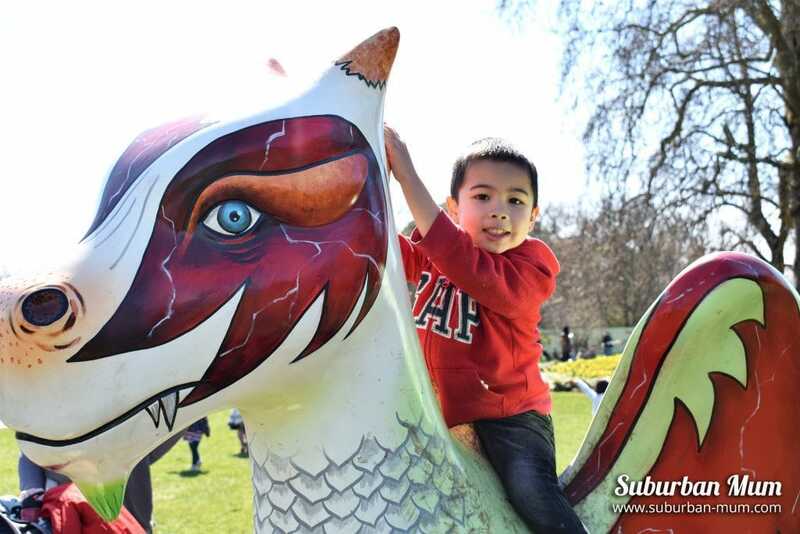 As well as A Big Day Out with Peter Rabbit there are Easter activities such as the Dragon Trail to hunt for. On top of that, there are the different areas of the garden to explore too. If you’ve not been before, I would highly recommend a visit this Easter break. Don’t forget to take advantage of the special offer with LittleBird where you receive 23% of the ticket price AND kids go free. 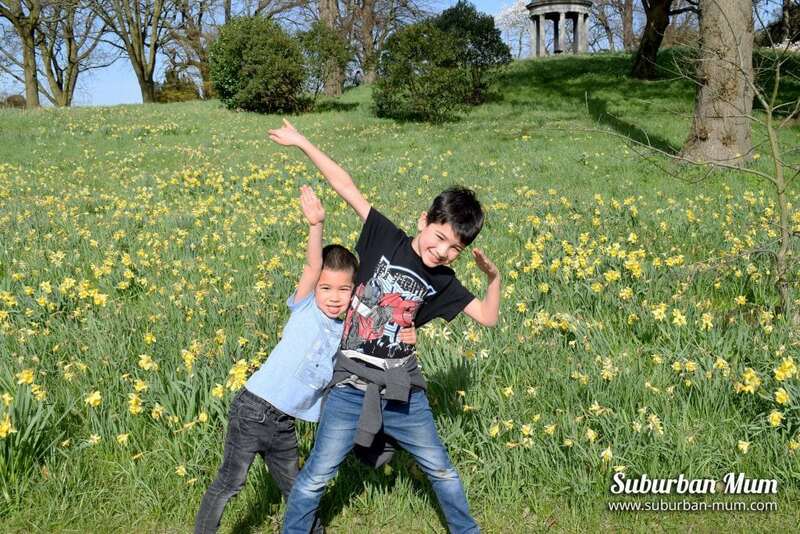 *We were invited to Kew Gardens by LittleBird and this post contains affiliate links. 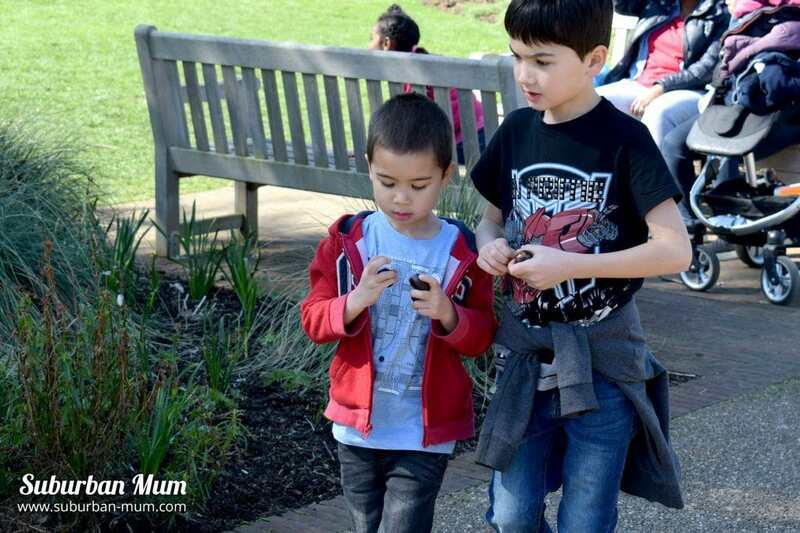 I have often considered visiting Kew, but it’s even more appealing, seeing what’s available for children as well. Peter Rabbit was such a stalwart of my childhood, I love seeing all the PR-themed stuff around thanks to the release of the film. This looks brilliant! 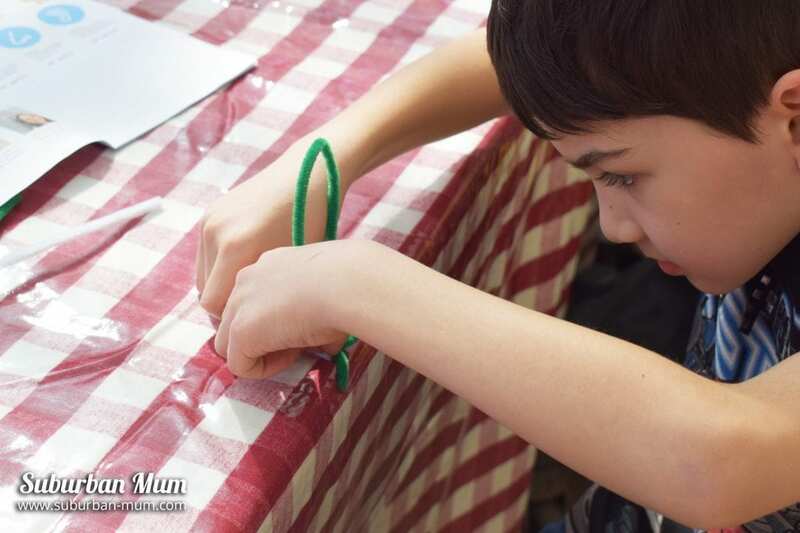 What a lovely activity to do with the kids. 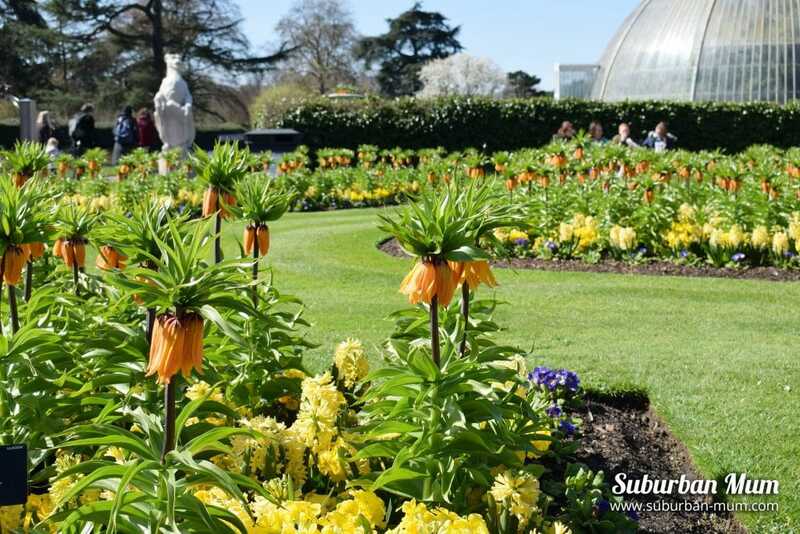 Kew Gardens is a wonderful place for a family day out and is definitely on our list next time we visit London! Wow. Lily loves Peter Rabbit can’t believe I didn’t know about this. Thanks for sharing.